Are you lucky enough to have a living room with a fireplace? Do you have a mantle to decorate for every season? 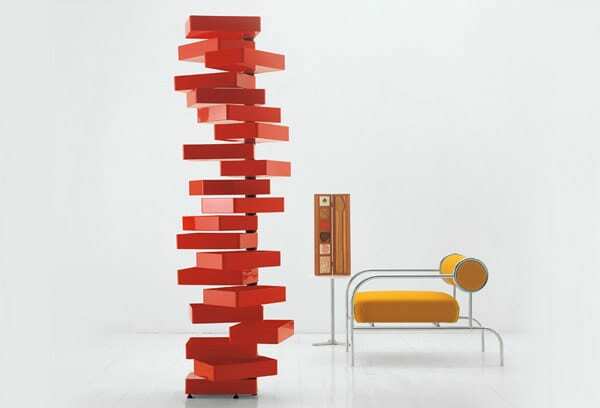 Or a man-made focal point for the great room? 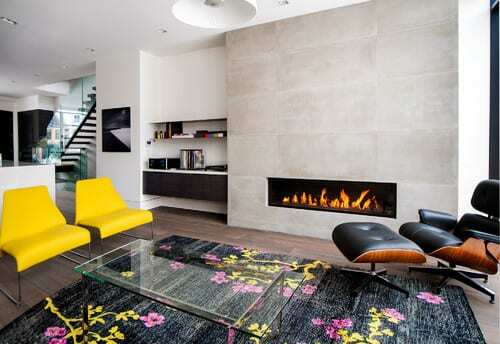 It’s easy to make fireplaces look traditional and slightly dull, but it’s also easy to create a slick,contemporary space to match the rest of your house with. 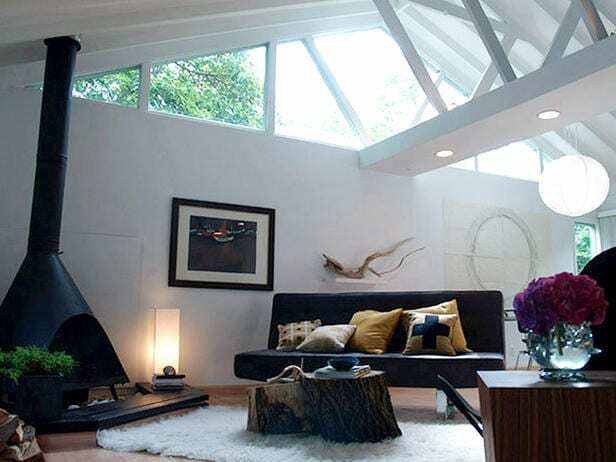 Take a look at 5 of our favorite modern living room with fireplace ideas and hopefully they’ll inspire your own space! The design of this space is incredible. The mix and match of patterns and pops of funky colors only enhances the trend-inspired room. The slant of the wall and the clean and slick fireplace not only is functional but also acts as a artistic piece for the wall. The extra brick adds a textural effect as well for even more eclecticism and interest. The colors are cozy and the slick, wood paneling keeps the room traditional while still creating a modern, contemporary style. The fireplace doesn’t take up a large portion of the room but rather hides in a small nook while giving off lots of comfy, homey vibes. 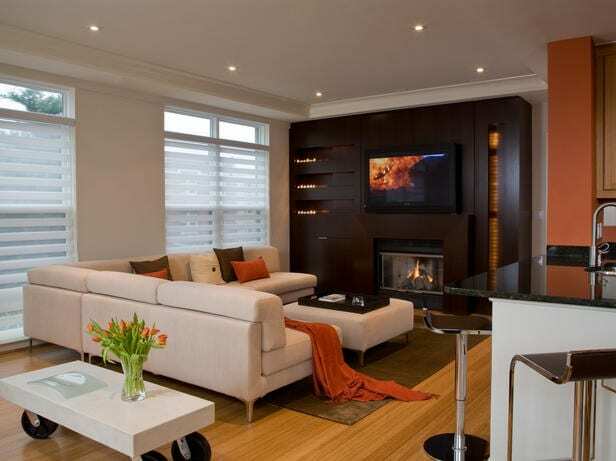 We love how the chocolate brown panels create an easy focal point as the rest of the room lays soft and casual. The fireplace sits on a wall that is the focus of the entire space. It’s smooth and creamy, and an artistic way to create a functional piece. The horizontal shape of the opening is unique and slick and adds a bit of modern flair to a trendy, upbeat space. The yellow chairs bring out the pop of colors in the rug while the area is covered in a creamy, marble-like finish. You can always try something a bit outside-the-box. Part of a modern style is the way you mix the old and the new to create something all your own. The modern furniture, the rustic accents and the mid-century fireplace come together to make a space with lots of personality and original pizazz. The muted colors add to a clean palette feel while make the large pieces, like the fireplace, decor all its own. This entire space is used in such a smart way. The corner wall becomes a piece of interest and a great way to store the fireplace. The stone sheet brings out a cozy atmosphere in the spacious, airy living room. And it’s so surprising, guests will swoon over this nooked fireplace.